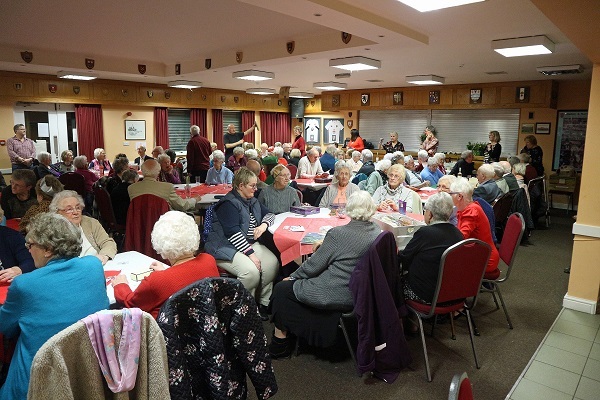 The Lions entertained over 100 senior citizens and people with mobility issues alongside some of their carers at the annual Malton party which took place at the Rugby Club on Friday 8th February. 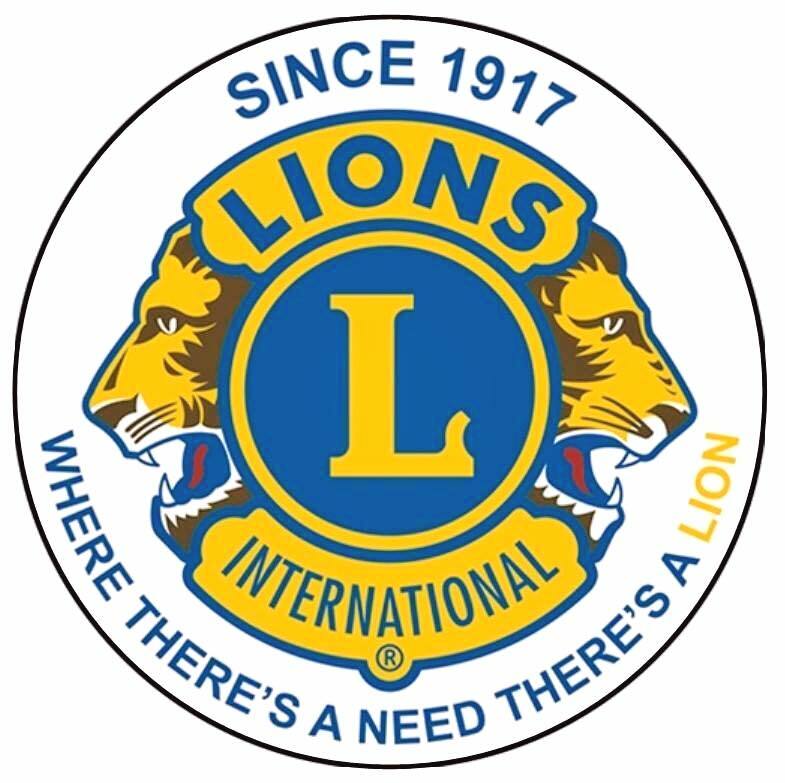 The event which has a history stretching back over 40 years has been hosted by Lions for the last three years. 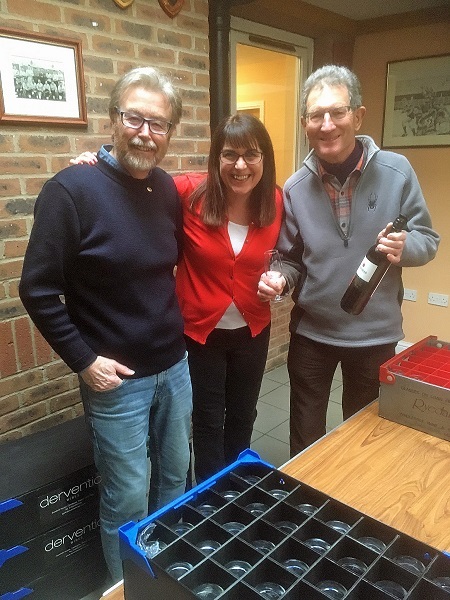 The guests were collected by Lions and Malton Rotary Club arriving from 3:30pm when they were greeted with a drink – carefully selected by Lions Steve, Yvonne and Mike! 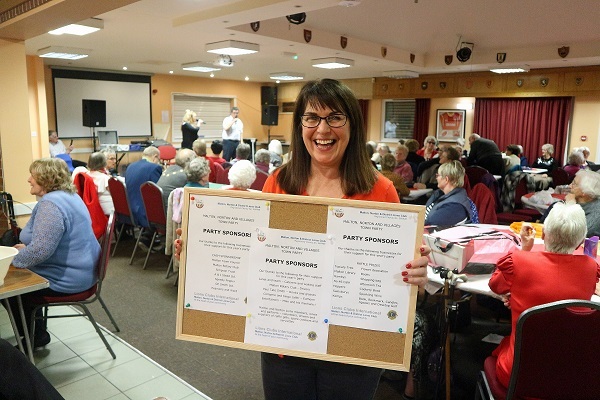 Everyone was then served with a three course meal prepared by Janet and team, after which there was a game of bingo and the raffle was drawn (ably called by Eamonn) and everyone won a prize! 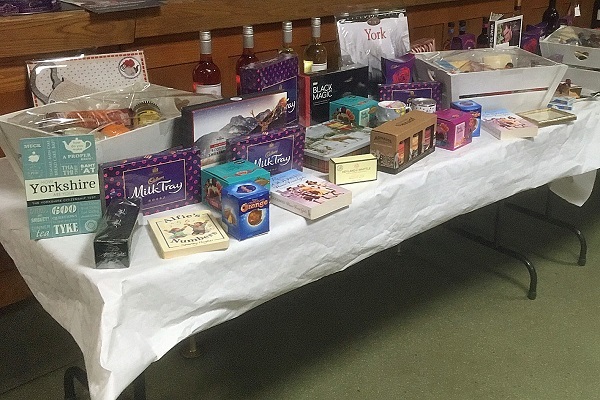 With Lions and helpers strategically placed around the room, prizes reached their owners rapidly, even if one or two of our more mature helpers seemed a bit out of breath at the end! Raffle prize distribution in progress! After a brief vote of thanks from Malton Mayor Councillor Paul Andrews and a response from Lion President Steve Sidaway the rest of the evening was taken up with live music from Mike and his mechanic (!) which got some of our guests on to the dance floor and many more tapping their feet in time with the music. 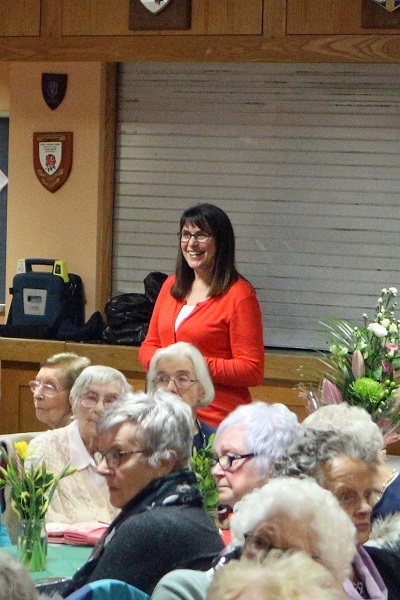 Many thanks to Lion Yvonne who organised the party between trips to Leeds, Lincoln, Newcastle and London as a Train Manager with London North Eastern Railway!